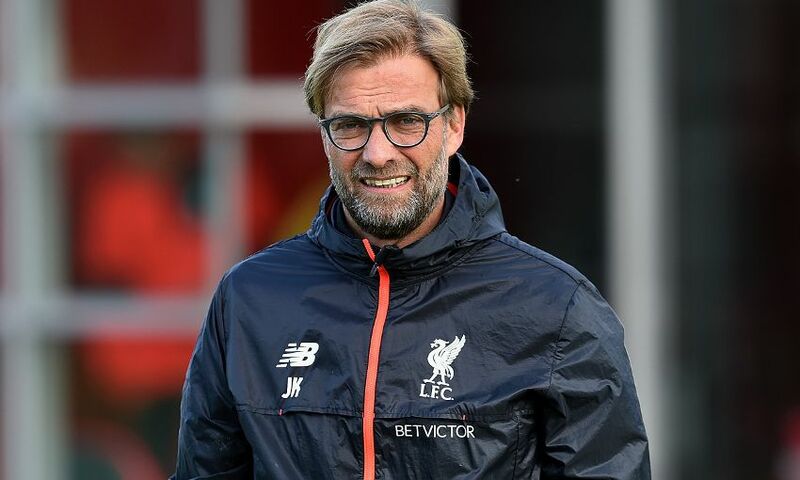 Jürgen Klopp believes Liverpool players should enjoy the responsibilities that come with representing the club as he insisted: 'Good things can happen here if we're patient'. The Reds boss was speaking after being unveiled as an ambassador for the club’s kit manufacturer New Balance at Anfield on Wednesday afternoon. In a wide-ranging interview, Klopp discussed a variety of subjects, including a reflection on his year in charge so far, the continuing development of his team, his favourite Liverpool goal to date this season and whether he drops any Scouse vernacular into his conversations. 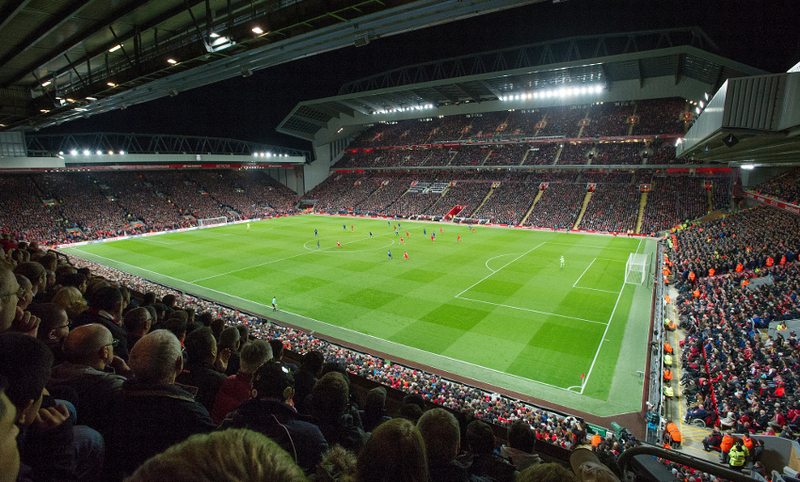 It’s great, it’s great – it’s not easy to describe because we all loved the old Anfield. When I first came here for the friendly with Borussia Dortmund, I don’t think they’d already started to do the work on the new Main Stand, but it already was a really nice and historical stadium. Then, being here in the moment when the new stand is opened, as I’ve said a few times, I am really lucky. It was really good – I couldn’t have imagined how good it would be, but now the atmosphere is better than before. It depends still a little bit on our performance, but we are quite confident we can have quite a few nice atmospheres here at Anfield in the next few years. For the players and for me, it’s a big honour working for this club and a big pleasure playing in this stadium where all these fantastic guys from the past celebrated their performances, their games and their victories. We know about the responsibility, but we should enjoy it. We had to develop – we’ve worked together for one year. This morning I had the coaches from the Ladies team in our session; they had a few questions and I answered them. It’s our job to develop – it’s more than normal when you work together, when you have sessions together, when you work together with these brilliant players and when you know a little bit about your job as a manager. It’s not that you have to explain, ‘look, here is the development… and here is the development’ – everybody has to see it in the first second. That’s what we’re doing and what we’ve done until now. Of course, for this you need time, you need time to know each other, to learn about each other, to know why you do what – always in life that is important, but especially in football. There’s been a lot and we’ve made a good way up to now. It’s a results game, but I think it’s important people enjoy our games. Sometimes, the hard work needs to look easier and for this we work really hard. Everybody can see that we’ve worked together – not just once and met each other in the car park and said, ‘come on, today’s a game’. It’s my responsibility, it’s what I like to do, the boys like doing what they do, and until now it’s worked quite well. First of all, we have to convince the players about our way and what we want to do. When I’m involved, everybody talks about hard work, more running than everybody, high pressure, counter-pressing… but that’s only one part. I don’t care what people talk about, but it is part of my image and that’s not bad because maybe I am here because of my image. There are a lot of things you can do, you have to plan, and there are things you have to use in a game, especially when the players are skilled like my players are. Everybody expects everything works from the first second – so, we play against this team like [Manchester] City, Tottenham, [Manchester] United… whoever – and you cause them problems and win the game. ‘Ah, that’s good’, but now you have to win against a ‘bus-parking’ team, whoever that is. In the same moment, you should have a solution for this but how can you have this when you have worked together for five weeks? It is not possible. If it was that easy, everybody could do it! In this moment, my feeling is the Liverpool supporters are really patient enough to wait for it because we’ve shown them the first steps. To go our way together, I really love this idea. To say the world around us is kind of crazy, it is football, it is big money, everybody talks about everything – the small things, the big things, but nobody really talks about football! To say let’s talk about football, think about football and play football, that’s what we try with all the pressure on it, with all the knowledge about how long it is since we last won the title. We decide how it should feel and if we are patient enough, I think a lot of good things can happen here. My favourite thing is having the opportunity to work for this fantastic club. I said a few weeks ago when I played bowls with these fantastic guys and the wonderful lady in Formby that when you start working as a manager, you don’t know how it’ll work out, even when you’re the most confident person in the world. You need real luck in a few moments, and timing is very important. You cannot plan it and say, ‘at one point, I would love to train Liverpool FC’ because it sounds crazy. Having the opportunity is a dream come true. That’s the best thing – it’s better than I could have imagined. There have been a lot of nice goals [so far this season]. Sadio’s goal at Arsenal was not too bad, especially when I saw it after the game when I saw the movement he made to go between two players – it was really nice. A wonderful goal was, of course, Hendo’s against Chelsea and Roberto Firmino’s goal when Daniel Sturridge made the move against Leicester to open the gap for him. I love all of them – I don’t want to decide, I love all of them and hopefully there are a lot [more] to come. I don’t have to [speak in Scouse]. It’s good for me because I am not good in it, but I understand much better because a few of our kit men are completely Scouse and talk to me like I am a Scouser. Unfortunately I am not and so it is really difficult and I don’t use it, but meanwhile I understand a lot. I have to use English all the time so other people can understand me, but you need to be a Scouser to speak Scouse – and this needs a long time to become a Scouser. I am used to speaking with strange dialects because where I am from, the dialect in the Black Forest is stranger than Scouse. I am used to it, but not very good in it!